The tantriks are now overground. They have their own council, police and justice systems. The White clan, Kaula, has emerged as the most powerful: their men are recognized tantriks, women intimate collaborators.Then there is Anantya Tantrist, who has rejected the Kaula path. She is powerful and lives life by her own strict moral code. Who needs official seals anyway? When the world goes to hell in a handcart, badges and honours aren't going to save the day.Incidentally, hell and chaos is just where the world is headed. In Delhi, little girls are being sacrificed in a tantrik ritual. A desperate daeva is trying to blackmail Anantya. Someone is trying to call up the God of Chaos. A three-headed giant cobra turns up in old Delhi. The White and Red tantriks are facing off, and there is one or more Black tantric brewing some dangerous shakti. As Anantya struggles to stop the madness, the supernatural underworld - peopled with creatures humanoid, barely human and inhuman - comes alive in all its bloody, gory glory. 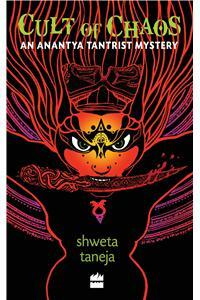 SHWETA TANEJA is an author, graphic novelist and journalist based in Bangalore. Her debut novel, The Ghost Hunters of Kurseong (Hachette India, 2013), is a breezy mystery set in the hills. She has written two graphic novels, Krishna: Defender of Dharma (2012), which has been subscribed by CBSE for its Schools Reading List, and The Skull Rosary (2013), which got nominated for Best Writer at the Comic Con Awards the same year. Her aim is to prod and pry the peculiar and the odd, and to break preconceived notions about paranormal and supernatural with her books. To do that, she regularly drinks Makaibari tea, hogs on popular occult shows and books, and asks all sorts of weird questions (you've been warned). Connect with her online at www.shwetawrites.com or find her on most social networks with her handle @shwetawrites.